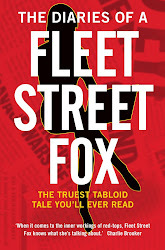 fleet street fox: A foxy code of conduct. NO-ONE taught me about journalistic ethics. I had to pass tests in law and public affairs, understand how government was organised, get 100 words a minute shorthand and have my story-writing and interviewing skills tested by seasoned old hacks. In all, I had to sit and pass seven exams in order to get a trade qualification known as the NCE, but not once did I have to prove that I knew what my moral responsibilities were. Those were formed by colleagues and editors at a dozen different publications over the years, most of whom were good and some of whom were bad, and my own experiences of getting in trouble and trying to avoid repeating my mistakes. Each employer insisted I sign up to the Press Complaints Commission Code of Practice, something which is fairly thorough and complete and, if you stick to it, does its job pretty well. It's a source of pride that I have never been found to have broken any of its rules. The problems come when people do break them - sometimes accidentally, other times legitimately, and occasionally without caring. The PCC, as good as it can be, has limited powers to punish bad journalists or make sure the slapdash try harder next time. 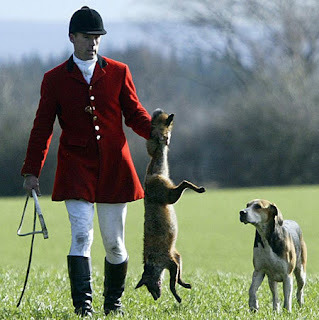 It plainly needs an overhaul, a rethink, and the teeth it needs to be a watchdog even the unscrupulous are scared of. We also have the laws of defamation, contempt, BLOODY Article 8 of the Human Rights Act and various other bits of law which should keep the Press, while not in thrall, at least on the leash. We don't need any more legislation. But in the meantime, eight million people buy a tabloid newspaper every day in the UK. Each is read by between two and four people, depending on the paper and the day of the week. That means roughly 20million people - a third of the population - read what we write, or at least look at the pictures. And some of them don't trust what they see. The BBC, love it or loathe it, is the only journalistic organisation in the UK to have its own code of ethics. It's long and boring and I recommend not reading it, but how long will it be until every newspaper and TV station - come to that, every police force - feels the need to make its principles part of its brand? Not long, I think. Those that abide by the PCC, Ofcom and other regulators will want to distance themselves from the bad eggs whose stink is permeating not just my trade but other professions too. Not least because if we don't set ourselves new standards someone else will do it for us. I don't want a media which is told what to do by politicians, or the courts, or Hugh flippin' Grant. Over my dead body. I will never spell it any way but "all right"
Of course, there's no formal organisation for you to take a complaint to if you feel I've crossed the line; but you can quote me. And a journo without readers is no journo at all. "Well, Dishface, I'm fairly certain this isn't ethical behaviour. And could you tell Rex to knob off?"